It seems as though in the past few years gardening and backyard farms have become more and more popular throughout the United States. With spring quickly approaching in the northern hemisphere, many homeowners throughout the U.S. will take to the outdoors with the intention of sprucing up winter-wrecked yards. 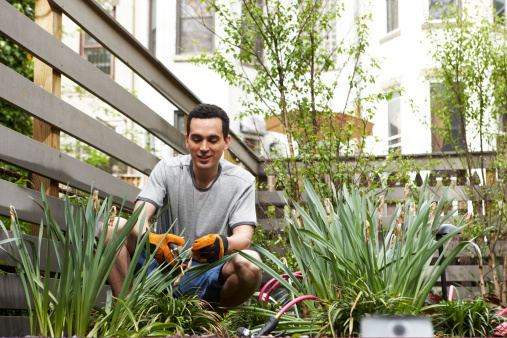 While many homeowners will concentrate on their yard, many others will focus on their backyard gardens. Traditionally, a garden is assumed to be a place to grow fruits and vegetables, but gardens can take on a many different looks and styles. Whether mainly for food, or for the beauty and aroma only flowers can produce, home gardens have a number of benefits for homeowners, and should you consider giving your yard a revamp this spring, consider adding a garden or a small garden area to your outdoor space. Gardens, whether for the joy of flowers or for fruits and vegetables, come in a number of shapes and sizes. 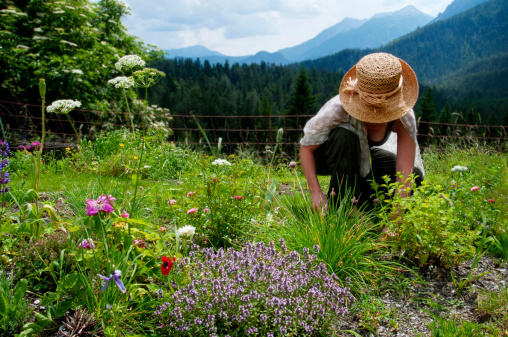 While providing a great sensory experience and a way to reconnect to the natural world around us, gardens also help to keep the body limber and improve overall mood. A study done in the Netherlands suggests that the relaxing nature of gardening can help fight stress, and a study in Norway found that people who suffered from depression and other mood disorders showed measurable improvements in their symptoms after three months of gardening (where six hours per week were spent in the garden). If you’re not interested in the potential health benefits of gardening, adding plants and flowers to your yard is a great way of updating a meager outdoor space and makes a backyard more enticing to potential buyers from additional textures, scents and organization. Also, adding touches of color by way of plants and flowers is an excellent way of improving curb appeal should you consider putting your home on the market in the coming months. Don’t have time for an outdoor garden, or are you lacking a space large enough for a garden? 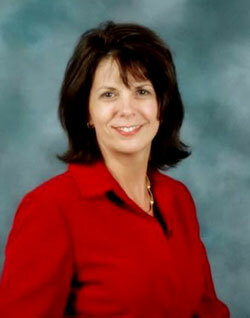 There are a number of alternatives to bring the joy of gardening into your home or life. 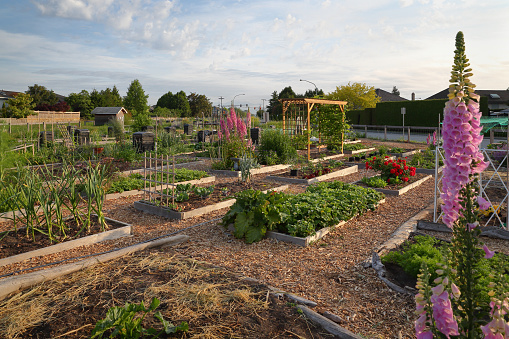 A very popular option that has popped up around the U.S. is community gardens. Located throughout communities from the east to the west, community gardens have helped provide a place of retreat from urban areas plagued by noise, or for those individuals who want a relaxing place to go to when they have free time. Community gardens provide a number of benefits, from a place for recreation and exercise, to providing health benefits by easing stress and helping to improve overall mood. Studies have also shown that those who participate in a community garden generally eat healthier, more nutrient dense diets, and a community garden helps to create and foster relationships throughout a community. Another option for those who don’t have a yard or outdoor area large enough for a traditional garden is a container garden. Another trend gaining popularity throughout the U.S., container gardens allow homeowners to have small gardens in tight spaces. 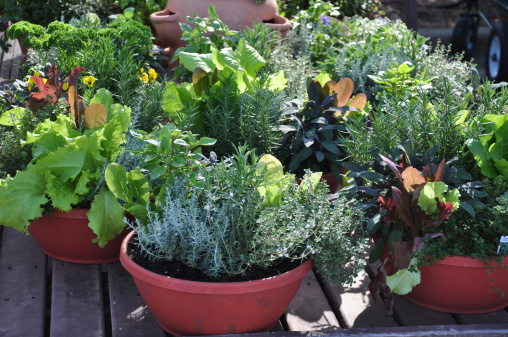 Plants (which can be anything from traditional flowers and shrubs to fruits, vegetables and herbs) are placed in containers, usually one plant per container, and allow the gardener the ability to choose specific plants for their needs and wants. Only interested in succulents, or just interested in plants that require little water and maintenance? A container garden is a great option. Container gardens can range from small to robust, and they provide an excellent alternative to a traditional garden. Other popular options for ‘alternative’ gardens are hanging gardens and indoor gardens. These gardens can be fully indoors and very much take on a container garden feel. Container gardens can also help add pops of color to porches and patios, and they are a great way of adding appeal to drab areas for potential home viewings. Do you feel particularly adventurous when it comes to adding a garden or outdoor feature? If you have the time, resources and space, consider a backyard farm. Chickens have become a popular backyard feature throughout the U.S., in both urban and rural communities. Chickens can provide a number of benefits to a yard or outdoor area: they act as natural pest control; they produce eggs; they will eat table scraps as well as weeds and garden clippings, and chicken manure is also considered one of the best fertilizers for gardens due to its high nitrogen, potassium and phosphorous content. While not for every homeowner, backyard chickens can be fun for every member of a household.